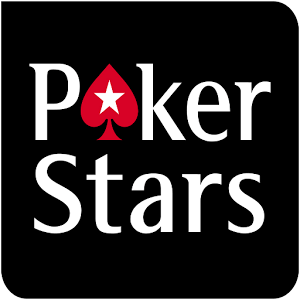 PokerStars has long been credited as one of the most creative online gaming sites. Running fun promotions is a priority for them, and they are always looking for ways to make the game just that much more enjoyable. Long time users of the site should be familiar with the World Cup of Poker. The World Cup of Poker gives the average player a great chance to represent their country in a tournament versus other countries. Something that is exciting to many people is that this special event takes place during the PokerStars Caribbean Adventure (PCA) in the Bahamas. PokerStars named the World Cup of Poker after the prestigious soccer event of similar name. As such, there are different positions on each country’s team inspired by the great sport. To gain one of the coveted four open spots on a team, a player was required to win an online qualifier outright. The qualifiers ran on August 20th and 21st. If you were a normal recreational player, there were three positions open to you. No bankroll was required to win the goalkeeper position because it was just a freeroll. To play the tourney for the defender position, players had to pitch in $1.10. And then to receive the midfielder position, players had to play an $11 tournament. In the World Cup of Poker, all the events are No Limit Hold’em. The fourth and final position was the striker position, but that one had some special qualifications. To receive the honor of striker for your home country, you would have been required to place in the top ten of the yearly TLB (Tournament Leaderboard) for your country last year. Since all the positions are now filled, countries have been filed into seven groups and set against one another. There will be poker tournaments in which players of the same positions will play each other within each group. To receive a spot in the live final on Paradise Island, a country must do the best in their group. 7 teams in total will make it. At the PCA, each team will get a professional poker player added to their team as their captain. The prize pool for the live final is $290,000, with $100k for the winning team. If the World Cup of Poker wasn’t something you considered until now, you’re unfortunately out of luck for 2011. That doesn’t mean you should give up, though! You don’t have to wait THAT long for next year’s World Cup of Poker, and it means you have plenty of time to practice at PokerStars. The very first Epic Poker League Main Event is in the books. The tourney took placed between August 9th and August 12th, and it was held in Palms Casino Resort in Vegas. 137 people ponied up $20k each to buy-in, and $400,000 was added to the prize pool by the league as per Epic Poker rules. This meant that first place was $1 million with the total prize pool $3,140,000. It’s no surprise that the final table was extremely tough, with over $45 million in total tournament earnings and 16 bracelets at the table. Both Jason Mercier (a PokerStars pro) and Erik Seidel were at this final table, two of live poker’s hottest pros in this day and age. Mercier has gone deep in countless huge events the last few years. It can be argued, though, that Seidel is having one of the most impressive years of tournaments the poker world has ever seen. Even before the Epic Poker League score, Seidel had cashed for $5 million in 2011 so far, including an impressive four outright wins. The four other members of the final table were Main Event winner Huck Seed, Chino Rheem, Gavin Smith, and Hasan Habib. The deep stacked 6-max format saw over five hours go by without an elimination. Finally Seed and Mercier enjoyed a 70bb flip, JJ vs AK all-in preflop. Seed ended up busto in 6th place because his hand was unable to hold. Mercier was responsible for the next bust as Smith got in his last 20 big blinds with 99 against Mercier’s QQ. Mercier even hit a Q on the flop to make extra sure that Smith would not catch up. Before long Habib was also eliminated as his JJ failed to catch up with the AA of Rheem. Mercier finally got cold decked, however, and he ended up getting it in preflop with 98 versus the KJ suited of Seidel. Seidel was able to hold and Mercier busted in 3rd place. Heads-up play started with both men holding over 70 big blinds a piece, which meant there was room for quite a bit of play. In total, the heads-up battle lasted less than two hours, though. Rheem was extremely aggressive and Seidel’s stack steadily decreased. Seidel’s last hand was a cooler as he got it in preflop with AQ against Rheem’s AK. The best hand held up yet again, and Rheem was the winner of the Epic Poker League’s first event. An astounding fact is that Seidel’s prize of $604,330 for placing 2nd was smaller than three other cashes he’s had this year. It’s safe to say that so far his year has been absolutely outstanding.